Yesterday, the Supreme Court made life a lot better for venture-backed startups, whether they know it yet or not. 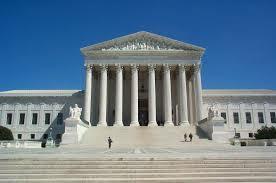 In a case called Octane, the justices ruled 9-0 that the U.S. Circuit Court for the Federal Circuit — where every patent appeal in the country eventually winds up — had imposed overly restrictive standards for companies looking to recoup legal fees in cases brought against them by patent holders. In a second, related case, Highmark, the justices also limited the ability of an appeals court to overturn a lower court judge’s decision in such cases. To learn more, StrictlyVC talked last night with intellectual property attorney Rudy Telscher, who argued on behalf of the petitioners in the Octane case. First, congratulations. Was this your first time, arguing a case before the Supreme Court? It was. I’ve been there a couple of times on unrelated matters, but it was my first time to argue, and it was a pretty amazing experience, from walking into the courtroom to opening [the] case in front of the justices to handling their barrage of very smart questions. I’m lucky to have been able to argue such an important issue before them. What part of the experience was most surprising? Well, a protester stood up during my rebuttal and was removed by Secret Service. That was a surprise. [Laughs.] I handle of lot of appellate arguments, but the experience was very different in that you have nine justices coming at you from different angles. You’re facing the brightest legal minds in the country, and you know that as one is asking a question, the others are thinking up eight more. Some [of their questions], I hadn’t thought up [during my preparation], but when you handle a case for eight years, you have a good sense of law. Wow, eight years. For those just tuning in to the case, can you explain its importance, particularly to VCs and the founders they back? Now there will be more companies that stand up to these claims, because their odds of getting [repaid for their] their attorneys’ fees are pretty good. How much has your client, Octane Fitness, spent on attorneys’ fees? And will those fees now be fully reimbursed by the opposing side? They’ve spent $2.5 million, which might sound like a large sum but is probably about $3 million less than the national average. Now, the case goes back down to district court. Is there any chance you’ll be ruled against there? There are no guarantees, but I’d like to think the odds of that are low. The Supreme Court altered the standard a lot, saying it was rigid and very difficult to meet. It’s a big deal.